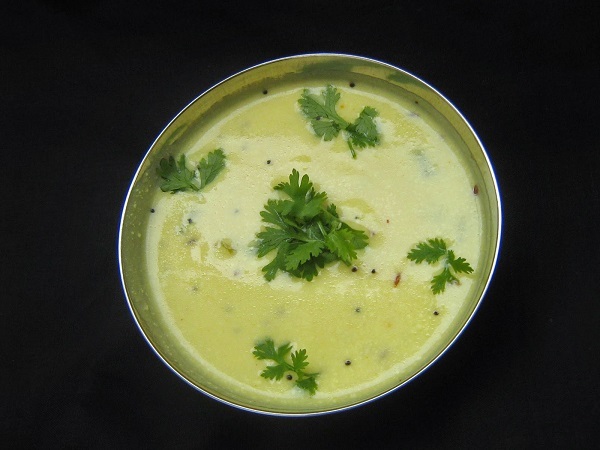 Today’s recipe is another easy to make dish that can be served with rice – Kadhi. 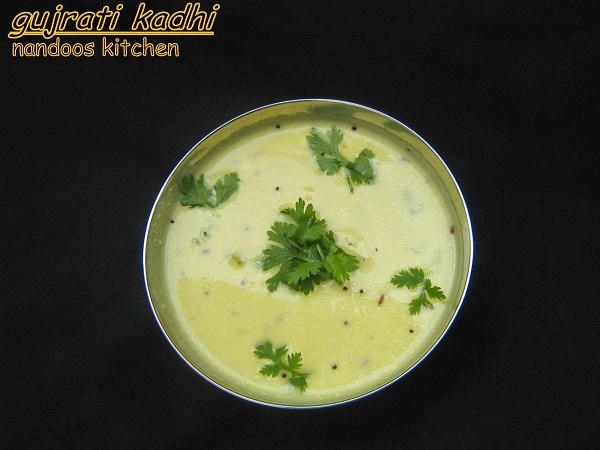 Kadhi is a famous gujrati sidedish which can be served with rice, kichadi and even with roti. Most important thing to be noted is that for this you don’t have to cut any vegetables. Being a Keralite, I always love curd based dishes but our food always contains curd and loads of coconut which gives thickness to the curry. 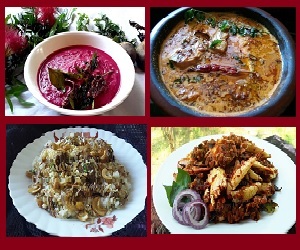 Here Kadhi is based on gramflour which gives the curry its thickness and there is another type of kadhi also which makes use of pakoras (lentil fritters). I love gujrati food and have tasted some of the dishes (as some of my colleagues where gujrati’s), but have never tried myself. So today, I prepared this and served it along with rice and subzi which was liked by everyone in the family. Hope you like it. Now to the recipe..
1. 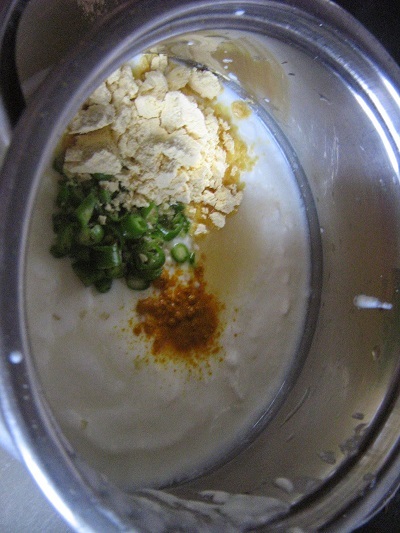 In a bowl, mix together curd, gramflour, greenchillies, turmeric powder, sugar, salt and water. Whisk it nicely and make a smooth batter without lumps. 2. 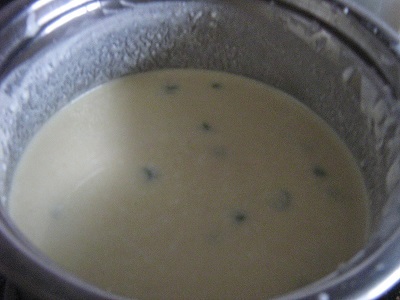 Keep the bowl on medium heat and bring it to boil, keep stirring continuously or else yogurt will curdle. 4. 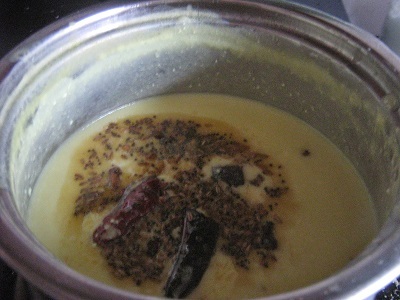 In another pan, heat ghee/ oil (I used ghee, it gives a nice taste and aroma), add all the ingredients given under “for seasoning”, saute it for a few seconds and add it to the simmered kadhi. 5. Lastly, add finely chopped coriander leaves and serve.